I’ve been visiting Leather Lane market each week, for over three years. Though it’s close to my work, it’s not the proximity, nor the convenience that has me returning time and time again. 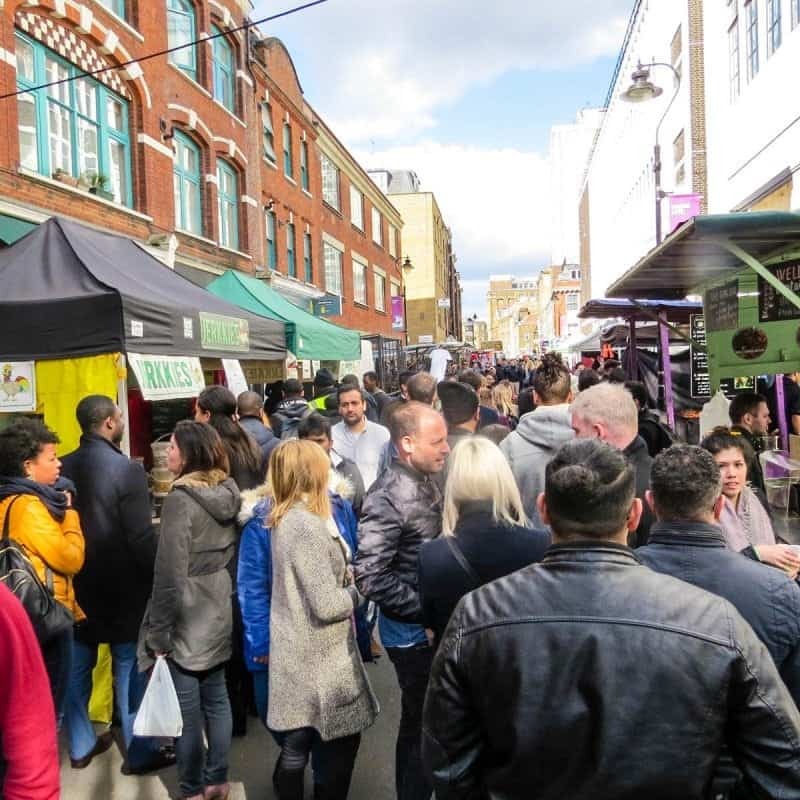 Leather Lane market spans the entire length of the lane, nestled snuggly between trend-setting Clerkenwell and diamond-clad Hatton Garden. 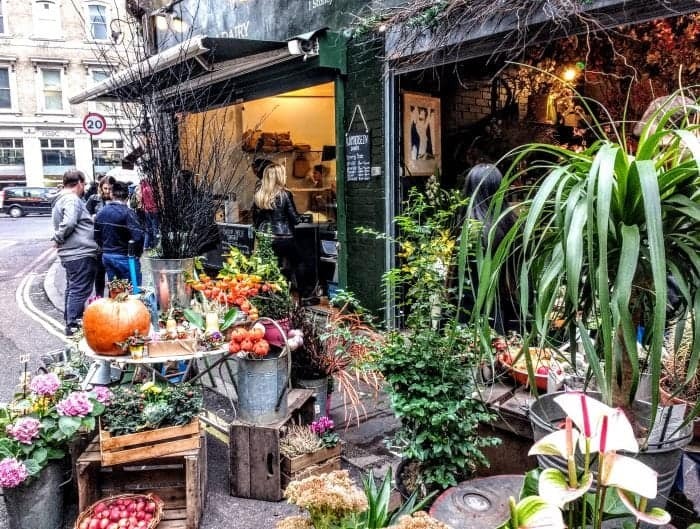 Historically Leather Lane market was a classic bric-a-brac market, it has stayed true to this, to some extent, still selling a bit of everything from fruit, fresh flowers to fantastic coffee. The reason I go to Leather Lane though is not for any of those above though. 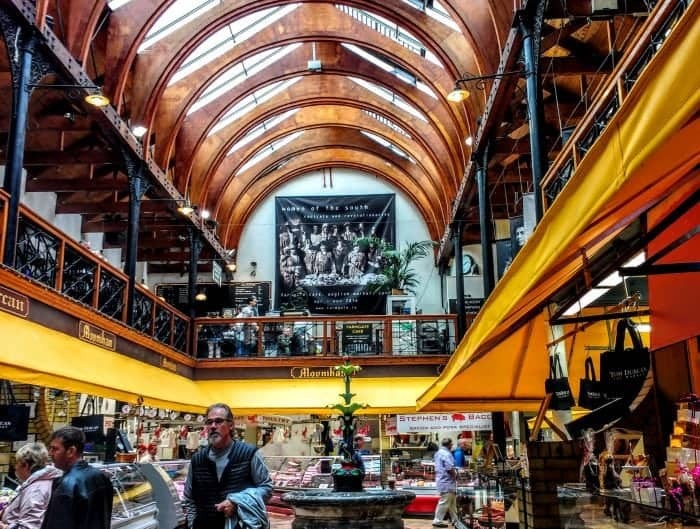 In recent years Leather Lane has become a haven for those working in local businesses to sample some truly fantastic cuisine. Amongst the cheap clothes and fruit and veg stalls is some of London’s most delicious street food. Office workers go in swarms to graze the eclectic mix of street food. There’s everything from Indonesian, Classic British, Jamaican to BBQ. 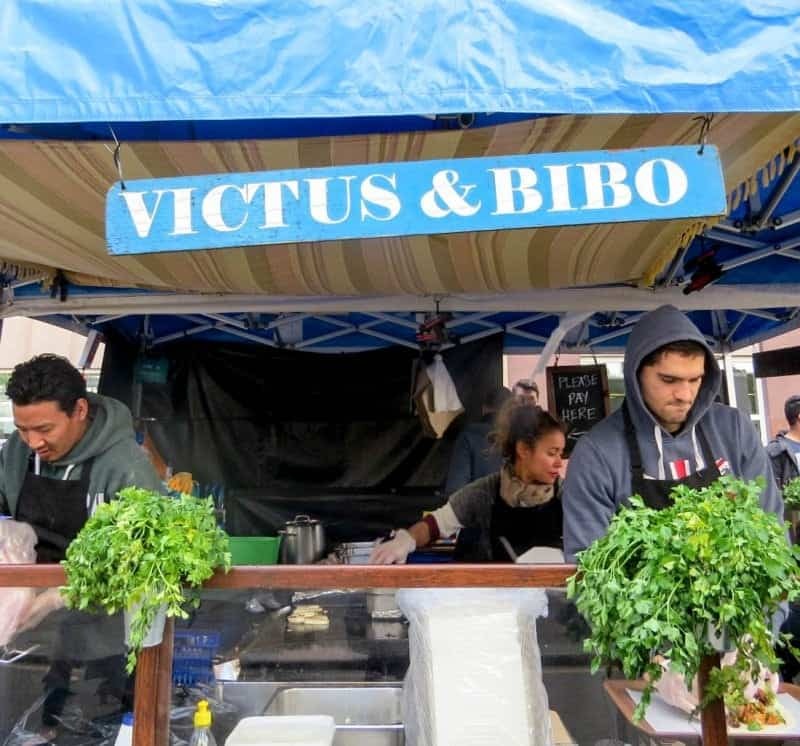 My personal favourite dish comes from Victus and Bibo, who serve a legendary lamb and halloumi wrap, packed with flavour. 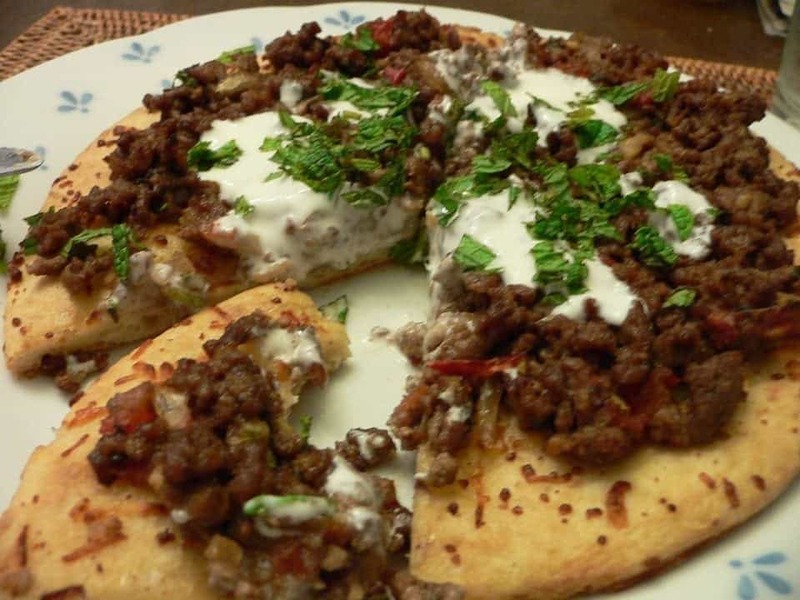 It has a balance of succulent meat, salty cheese, crunchy salad and punchy chilli perfectly enveloped within flatbread. 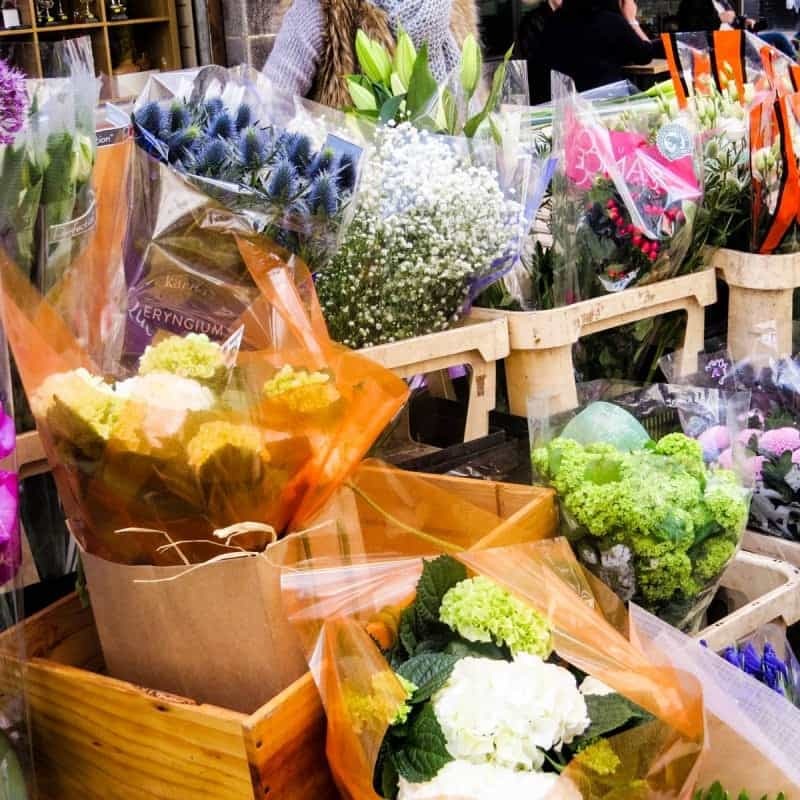 Leather Lane Market has been operating for nearly 400 years and it is one of London’s best and constantly evolving markets. These days it is the home of some superb street food and feeds hundreds of local workers at lunch time. 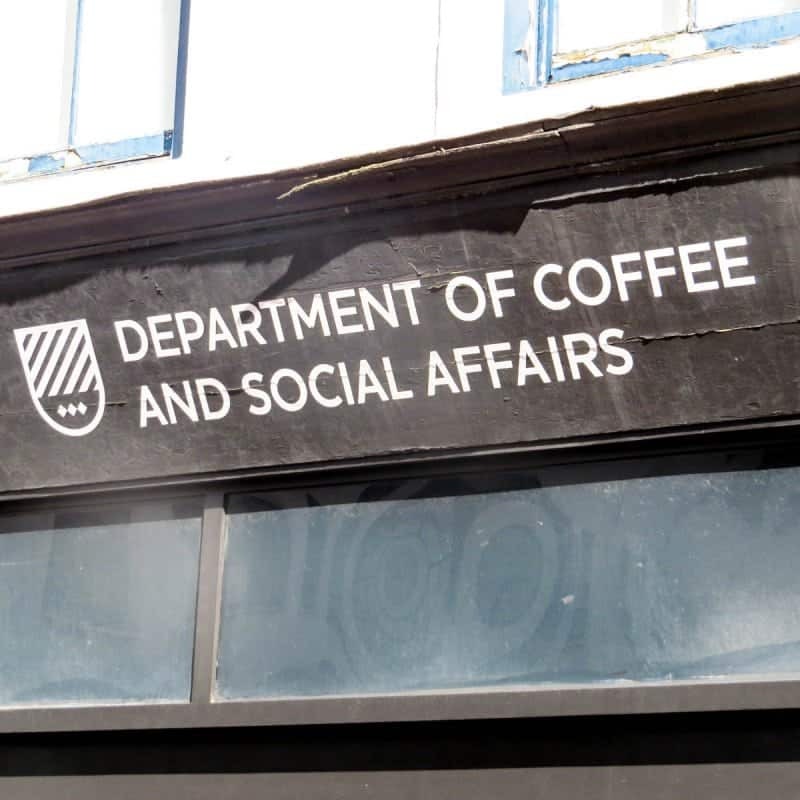 Leather Lane has become “hipster” with loads of fancy coffee shops and independent stores opening up to serve the millennial crowd. Don’t take that as a put down some of the most interesting and eye catching shops are being opened by the younger crowd and they are fantastic treasure troves. 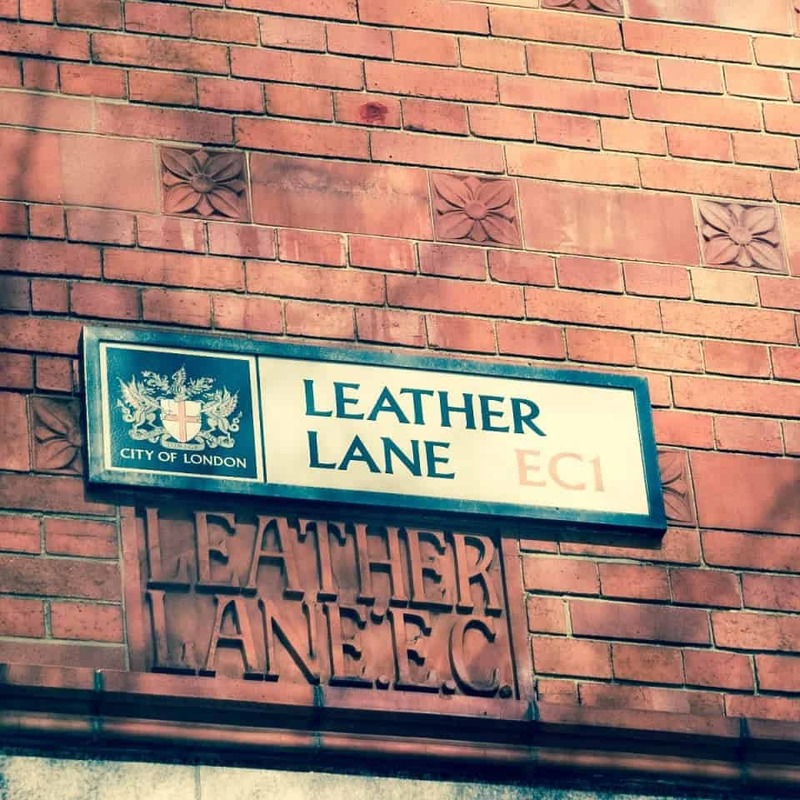 Leather Lane is a very residential area which surprises some as it is in such a central location. There is a fabulous sense of community here. The Friends of Leather Lane Market group and Leather Lane Stars project work hard to preserve this. Sure there are some chains here like Subway and Greggs but no major chains have established a presence here so it’s all pretty local. Having grown up in London I’ve been spoiled by the variety and cultural melting pot that is the foodie scene here. 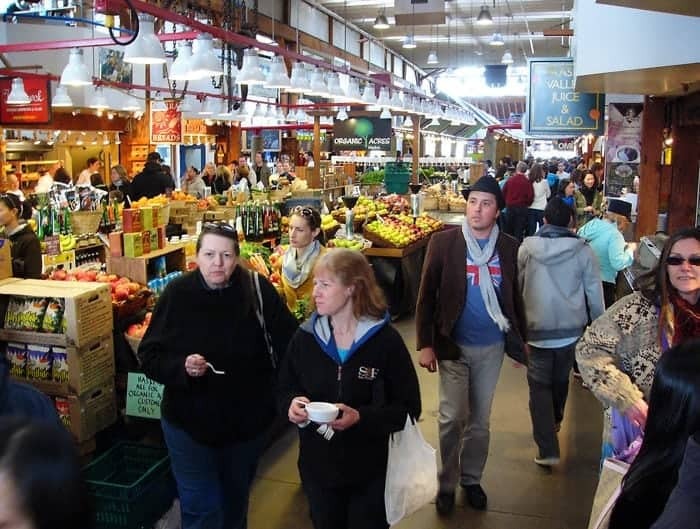 We have every type of cuisine here and you don’t have to wander too far to find something new. Leather Lane’s innovative, flavourful food sets it apart from other markets in East London and the City. 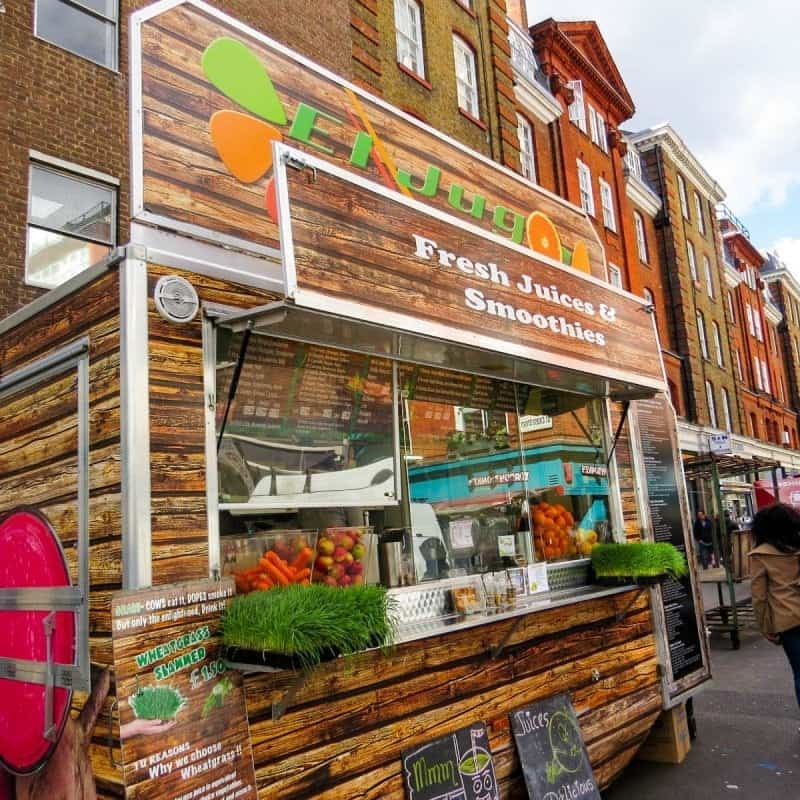 Serves high-quality Caribbean cuisine in their Hatton Garden restaurant, as well as from their street food stall which can be found in Leather Lane on weekday lunchtimes. 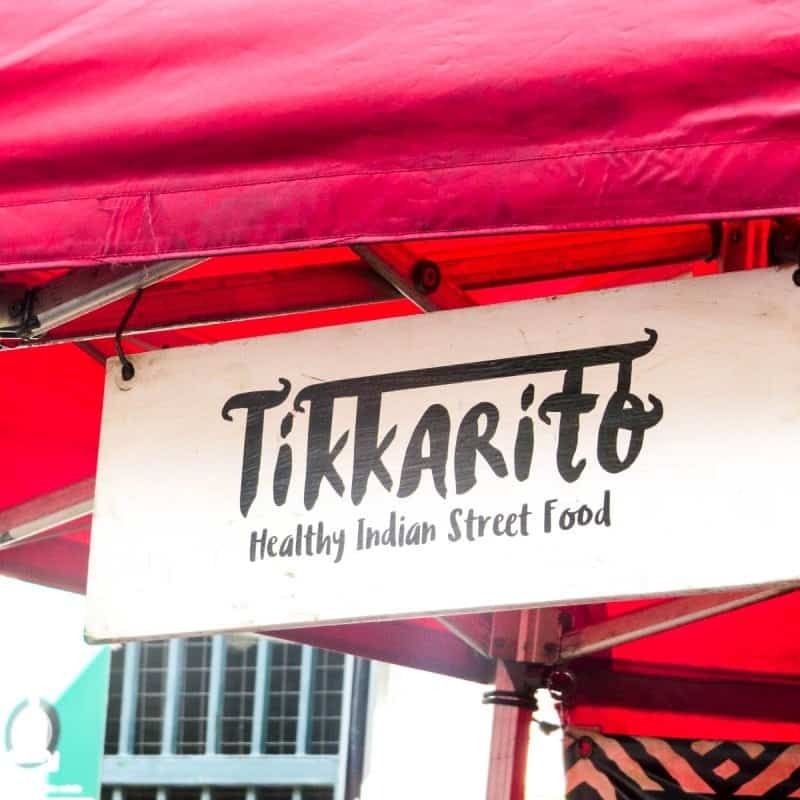 You can either get a lunch box for £6.50 or a wrap for £4.50 (large £5.50), with fillings such as the classic Caribbean jerk chicken, southern fried chicken, vegetable curry and callallo and saltfish. Pod serves healthy and environmentally friendly fast-food for eat in and take away. 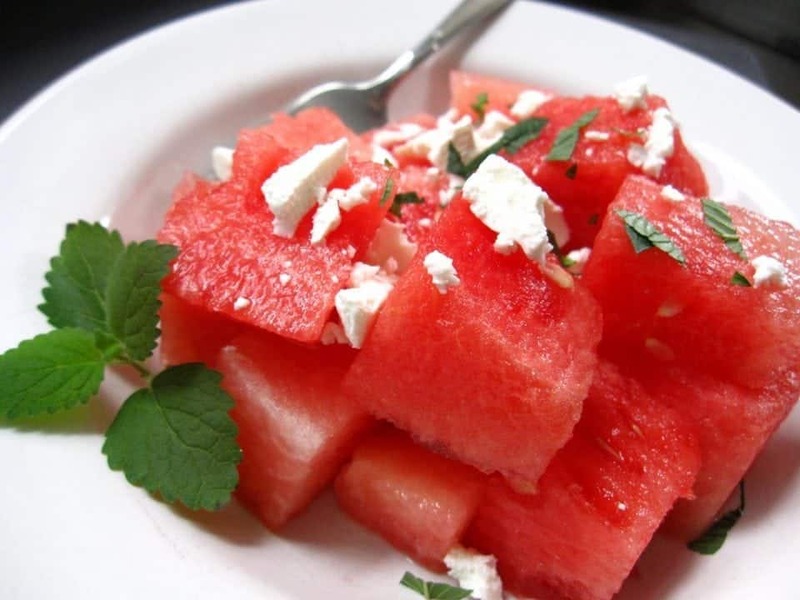 The menu changes with the seasons and includes freshly made soups, salads, sandwiches. Offering pan-Asian street food, KIN boasts an comprehensive choice of freshly prepared dishes from Asian countries including Japan, China, Thailand and Vietnam. A specialist coffee shop within a renovated and remodelled architectural ironmongers that offers a selection of bagels, pastries, freshly-made sandwiches, quiche and cakes to eat in. Vegetarian salad bar with an emphasis on middle eastern / Mediterranean flavours. Think tabbouleh, grilled veg (aubergine, courgette), couscous, hummus olives plus lettuce mixes, pasta salad and more. 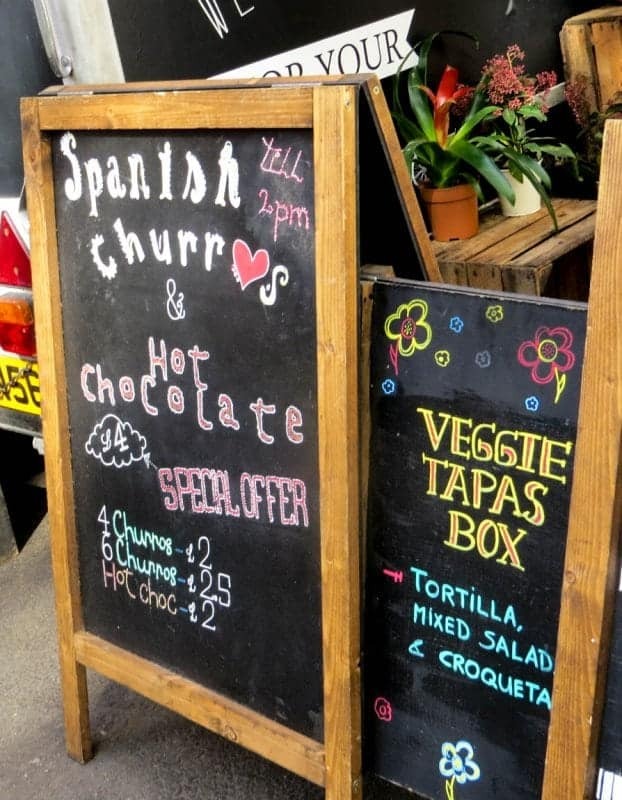 Daddy Donkey serve burritos, tacos, fajitas and other Mexican street food made from fresh and natural ingredients. Pieminster shops sell a wide variety of pies and sausage rolls made from British sourced ingredients. Are you a big fan of street food? Me too so check out some other areas of the world where street food reigns supreme. Where have you eaten the best street food you have ever tried?